QtCon is the event that brings together five different communities in one place to share and collaborate. In the same spirit, we are happy to announce the possibility for other projects or organisations, to present themselves during QtCon in a so called "poster session". 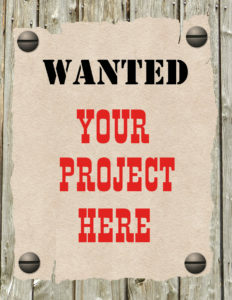 We are looking for personal, smaller and/or non-commercial projects that are Free Software or related and in the spirit of openness and freedom. On Friday evening, September 2nd, beginning around dinner time, we offer and set up a dedicated space close to the dining area, where chosen projects are invited to present themselves or a contemporary project. This is your chance to reach out for new audiences, contributors or donors. Unfortunately, due to space limitations, we can only offer this opportunity for up to ten different "posters". If you like to be one of them, please apply by writing to team@qtcon.org and use the tag [poster].